Eko - Create A Party Look and We’ll Tell You What Kind of BAD@$$ Career You Should Have! 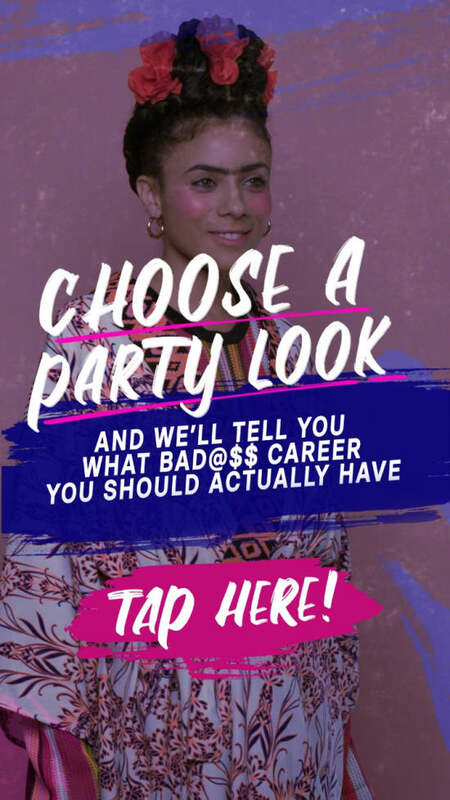 Create A Party Look and We’ll Tell You What Kind of BAD@$$ Career You Should Have! Okay, we had a LOT of fun making this!! Astronaut? Pop Star? UN Ambassador? Build different looks, and see what awesome outcome you get!